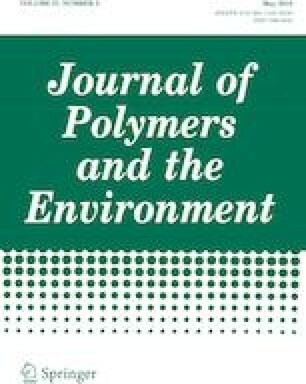 This paper reports on the synthesis and characterization of cross-linked chitosan products prepared from using crab, shrimp beads and ten different cross-linked polymers which includes; glutaraldehyde, formaldehyde, epichlorohydrine, maleic anhydride, p-benzoquinone, poly (ethylene) glycol diglycidyl ether (PEG diglycidyl ether), 1-vinyl-2-pyrrolidone, 1,3-dichloroaceone, acrylic acid and s-methyl-benzylamine. Characterization of the cross-liked chitosan products was done using Fourier-transform infrared spectroscopy (FTIR) and scanning electron microscope (SEM) to determine the structural morphology and the stretching frequencies of the products. The obtained FTIR stretching frequencies of the cross-linked chitosan products were matched against the starting material and the literature values to confirm the products. SEM analysis showed mixtures of regular and amorphous products. Different percentage yields (crab, 26–98% and shrimp, 30–88%) were obtained for the cross-linked chitosan products depending on the cross-linked polymer used. The authors would like to thank the National Research Foundation of South Africa for the financial assistance and the Physics department of the University of the Free State for the FTIR analysis.